Belotero is an HA dermal filler made of the same volumizing and moisturizing component of your skin, so it is the natural choice for reducing the appearance of lines and wrinkles. When injected by one of our board-certified cosmetic dermatologists, it instantly plumps and adds volume to the areas where it has been lost. 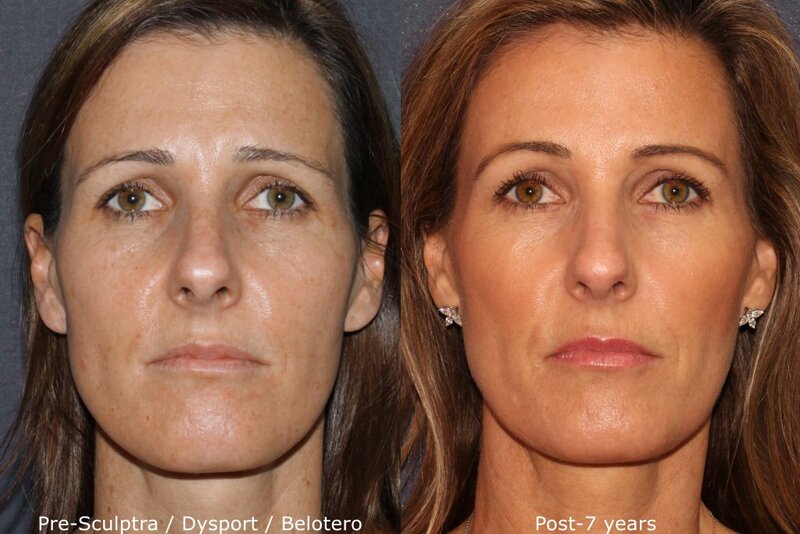 Even the finest lines can be treated with confidence with Belotero in San Diego. Frown lines: The ‘ll’ between your eyebrows when you frown can be softened. 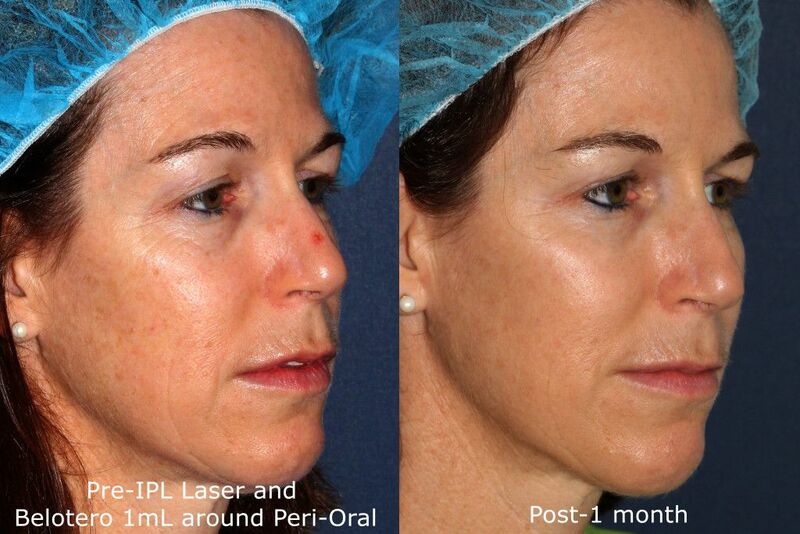 Periorbital lines” Also known as “crow’s feet”, these lines can be reduced and smoothed. Bridge of the nose: To soften the appearance of bumps. Nasolabial folds: The lines from the nose to the corner of the mouth, also known as laughter lines, can be the most noticeable of all lines of the face. They can be smoothed away and leave you with a subtle, even result. Perioral lines: Sometimes called smoker’s lines. These lines are hereditary and you do not need to be a smoker to get them. Vermillion border: This subtle feature of the border of your lips diminishes as you age causing that annoying lipstick ‘bleed’. This treatment instantly rejuvenates your lips. Lips: Whether you want a little moisturizing or full plump lips, Belotero is the perfect product for the lips. Marionette Lines: These are lines from the corners of your mouth to your jaw. Treating these can help to instantly provide a cheerful expression. Horizontal Brow Lines: Horizontal lines on the forehead can be filled, leading to a more youthful and refreshed expression. Belotero is softer and more precise than other fillers, meaning it is great for filling in static lines on the forehead that Botox can’t treat. A smooth, youthful brow can be yours with a combination of neuromodulator and filler. Belotero is an amazing dermal filler specially designed to integrate into your tissue to provide subtle and even results without disrupting the natural contours of your face, so you can be confident that no one will ever know how you manage to look so refreshed and confident. Belotero injections typically take about 30 minutes to perform, after which patients are free to return to their normal daily activities. 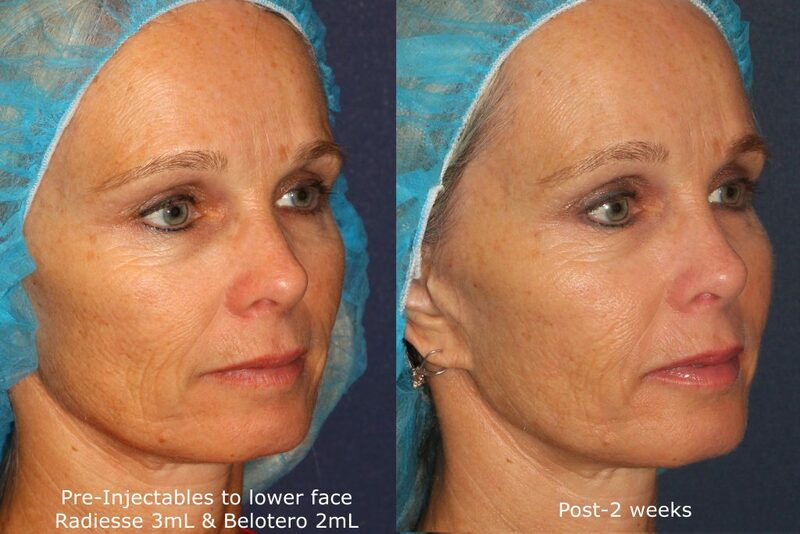 Q: What’s the difference between Belotero and other facial fillers? A: This product is very similar to other dermal fillers, but provides patients with a smoother result. Unlike other dermal fillers, it’s very rare that you’ll actually feel it once it’s been injected. Instead, you’ll only feel the natural results. A: Belotero is a dermal filler made up of hyaluronic acid, which is a naturally occurring substance found in your very own body. It works by injecting the substance into your face to combat the aging process, adding volume and plumping up sunken hollows. But, it doesn’t stop there–it also works to hydrate the surface of your skin to continue keeping it fresh and youthful. A: This often depends on the individual injected with the treatment, as each patient is different. Generally, results can last up to 6 months or longer. Q: How is it administered? A: Belotero is injected into the patients skin on one quick and painless office visit, with immediate results being able to be seen and increasing over the next few days. There is virtually no down time, with patients returning to their normal schedules immediately upon leaving the office. A: Belotero is FDA approved and completely safe for use when injected by an expert dermatologist in San Diego. Patients with known allergies are not recommended to undergo the treatment. In addition to Belotero, we offer a wide variety of dermal fillers like Restylane and Juvéderm which can improve the tear trough area. Additionally, laser resurfacing is a great option for improving eye bags and early signs of aging. 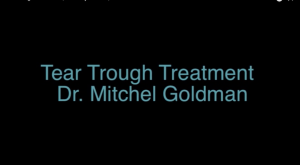 Please contact Cosmetic Laser Dermatology in San Diego for more information on these age-reversing techniques.